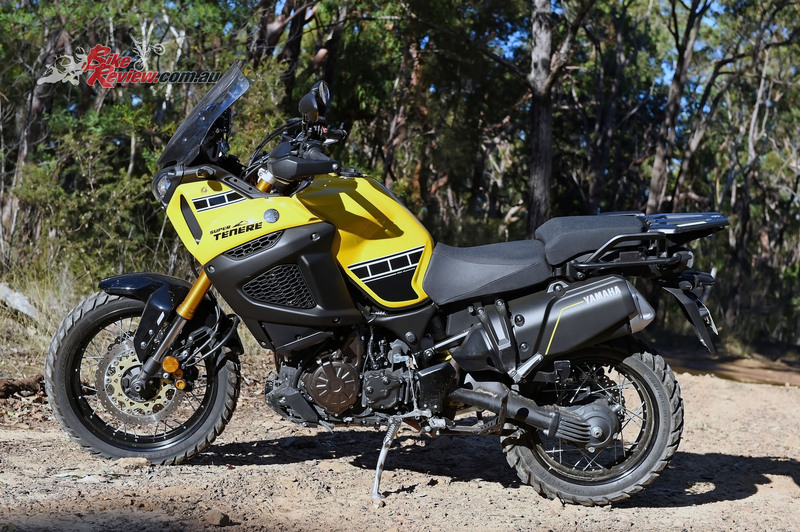 It’s not hard to imagine rolling out of your driveway, off on a short weekend adventure, or if you’re lucky – a longer lap of Australia, on the Yamaha Super Tenere, especially the E model with electronic suspension we tested. 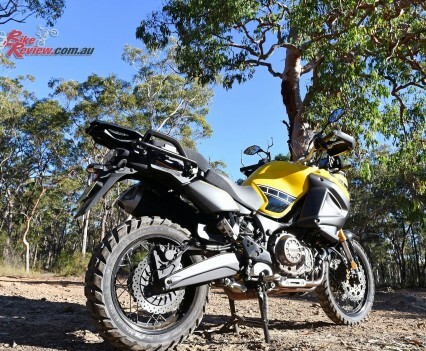 The big 1200 adventure bike is a true long distance tourer. 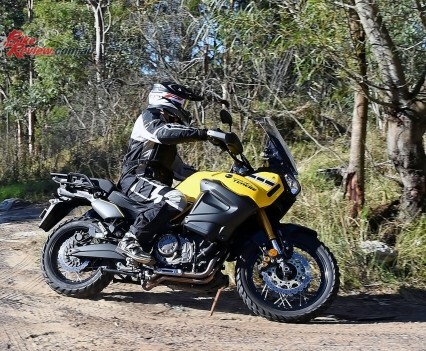 Carrying some 23L of fuel sees huge distances between fuel stops, which makes this ride ideal for touring in Australia. 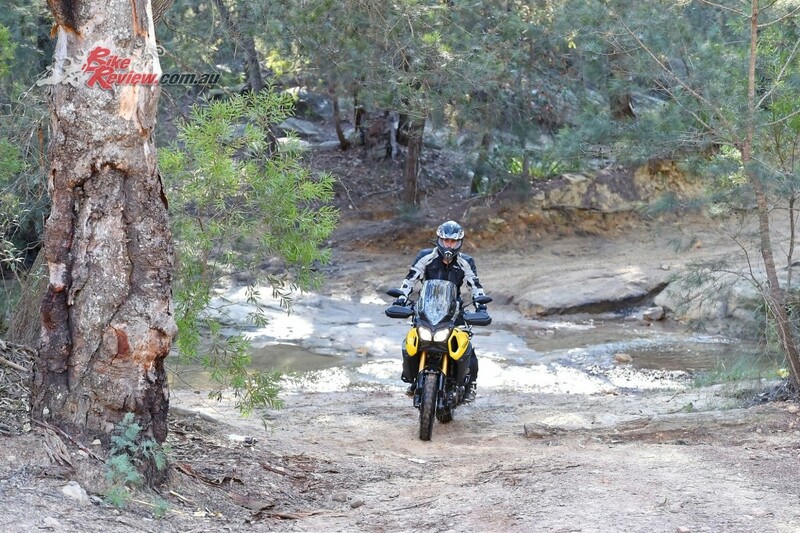 I was averaging around 4-5L/100km over a huge variety of riding and this consumption hardly changed. 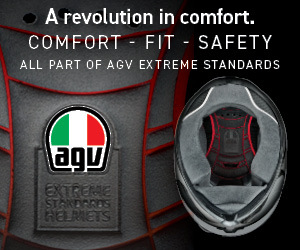 Starting with where you spend the most time, your bum, the seat is super comfy and just right for long stints. There’s plenty of room to move around or slide forward and lock into the tank. The ‘bars, ‘pegs and seat position are all spot on. No pinched shoulders or sore wrists. The only fault I could honestly pick is my left boot rubs on the exhaust cover while standing. Sometimes a small detail really gets your attention and on the ‘bars it is the clutch pull and feel. 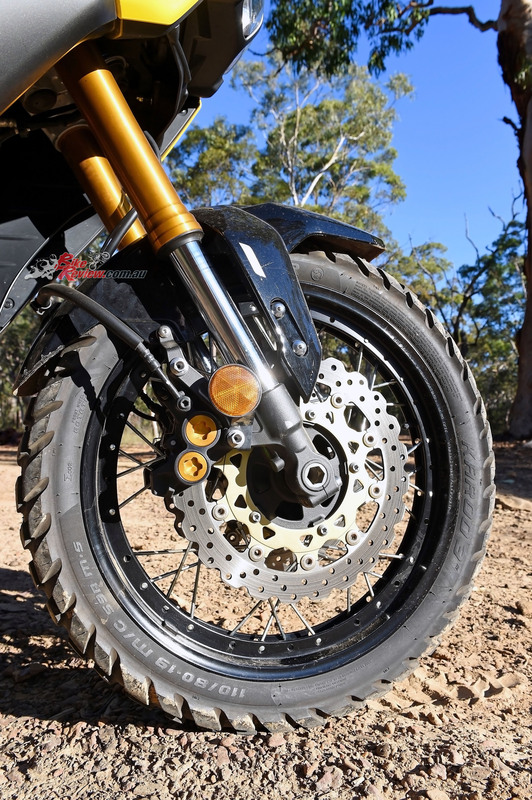 With true two-finger clutch pull all day long, and I have ridden plenty of small capacity enduro bikes with a heavier clutch than this one. Instruments are well engineered and easy to read on the move. Multiple trip meters, distance until empty and average fuel usage are all handy little features. 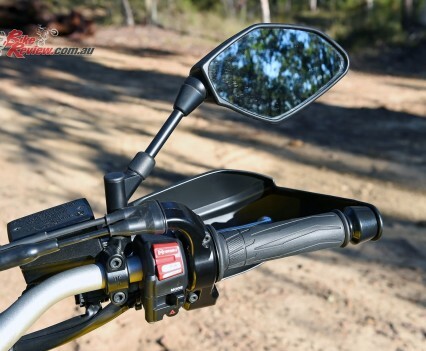 There is also a well thought out mounting bar across the screen, to mount accessories like a GPS or phone, which you can then plug into the standard 12V socket. 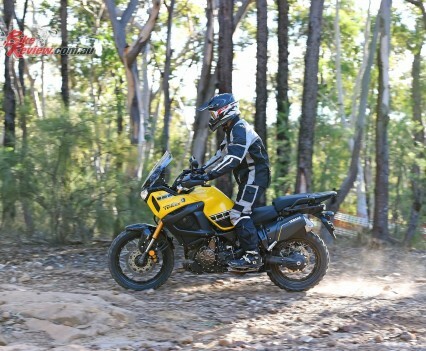 Yamaha’s Super Tenere is a big bike, no doubt about it, tipping the scales at 260kg with a full 23L load of fuel. 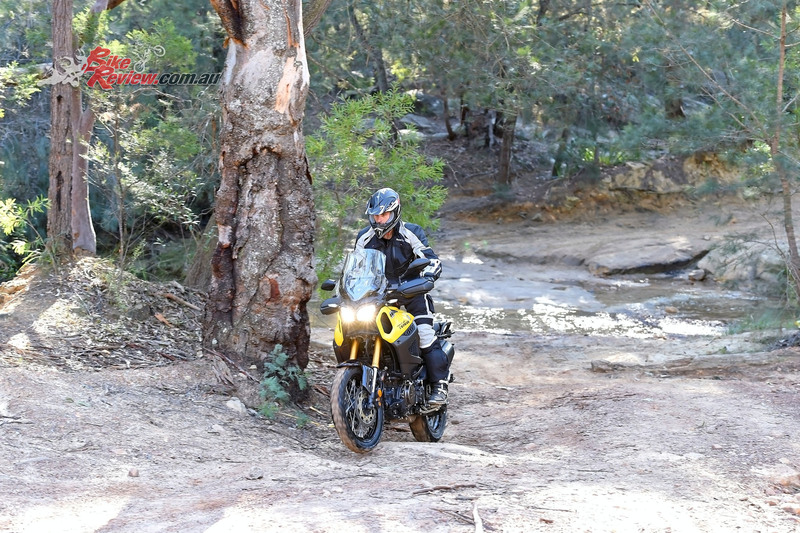 At first this is a little daunting, not so much on the tar but off road but these thoughts are quickly dismissed once you hit the dirt and it is a ball to ride, but more on this later. 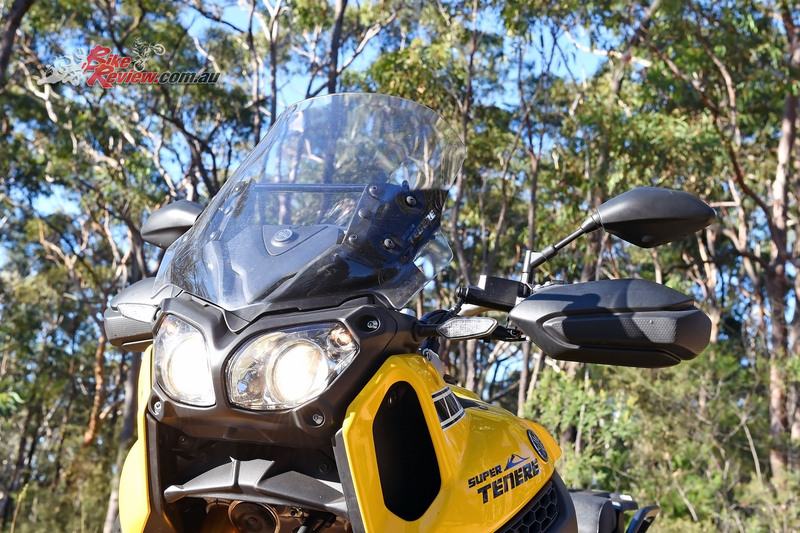 While road riding I thought that the front adjustable screen was best set at the highest setting to stop the wind buffering. 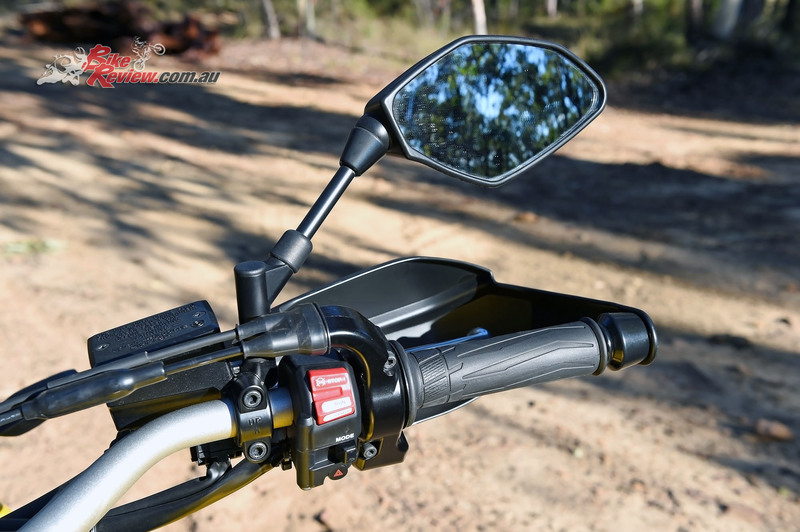 When off road I found the top of the screen interfered with my vision while standing so dropped the screen to the lowest position, which worked a treat. 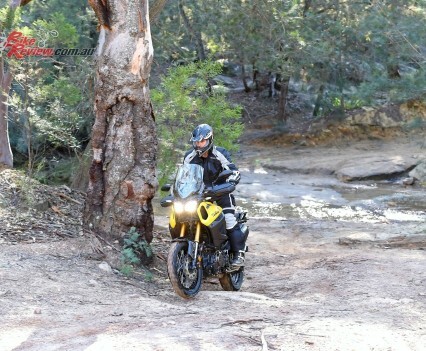 Only a few weeks ago I turned 40 and some advice from a friend said that once you hit 40 you don’t care what other people think… so here it is, I love heated grips. Not only are the grips heated but they also have different settings. Awesome. 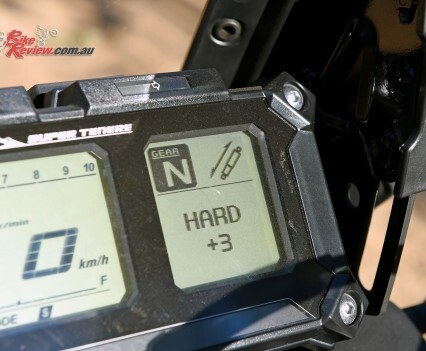 After spending a substantial amount of time aboard the Super Tenere my number one tip to get the most enjoyment is to make sure you know the electronic functions backwards, this, for me is what really shines through. Turning the ignition key on you can first select who will be on board today, single rider, pillion or pillion and luggage. Once selected the electronic suspension both front and rear automatically adjusts preload and damping to suit. The Traction Control System is controlled via the dash. Flick the mode switch to ‘T’ for touring and cruise on out. 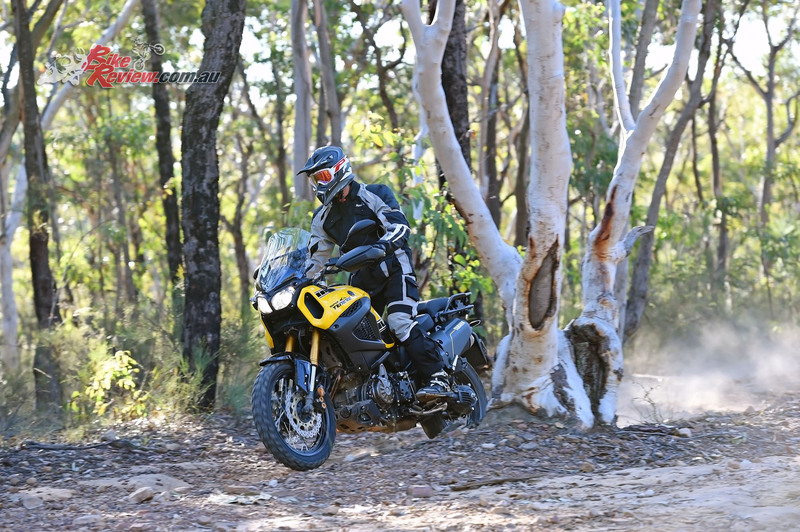 Approaching your favourite twisties, if you’re in the mood, flick the mode switch to ‘S’ sports, for the extra punch it delivers. 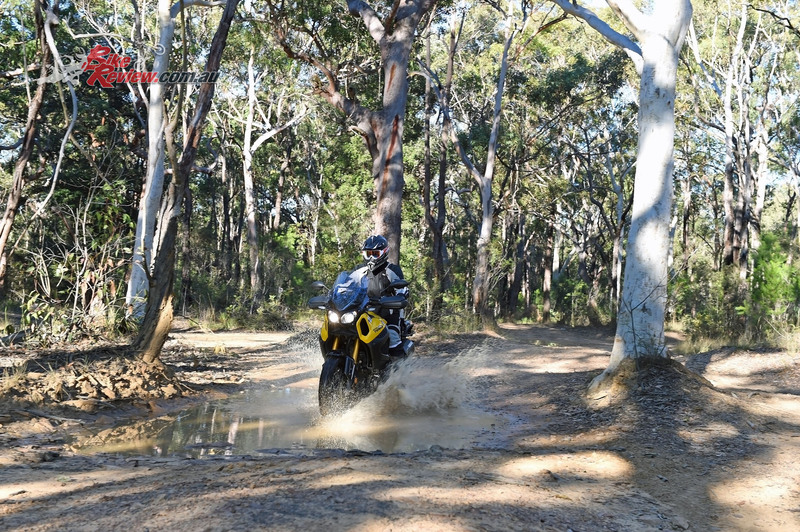 Then firm up your suspension rate so you can smash it out. Then flick a few switches and you’re back in touring mode… very easy. 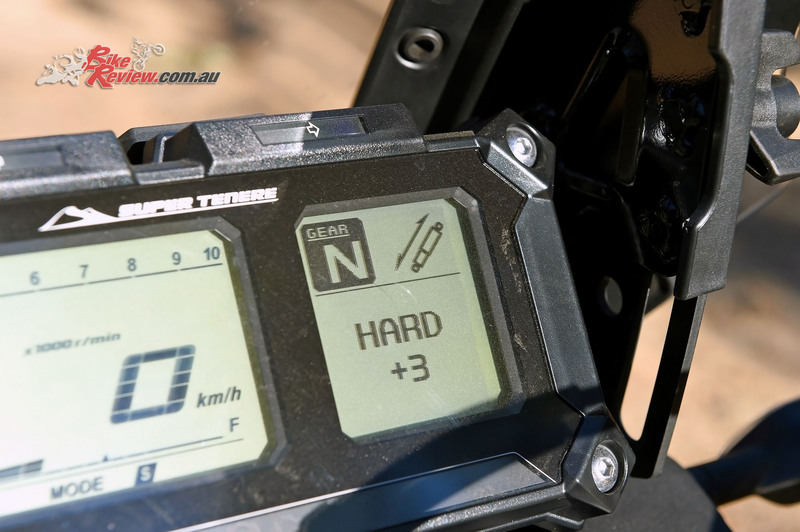 The Mode button under the starter, allowing quick and easy changes, which go into effect when the throttle is closed fully. With all this electronic control assisting, you sometimes have to alter or at least rethink certain situations. Two examples come to mind. 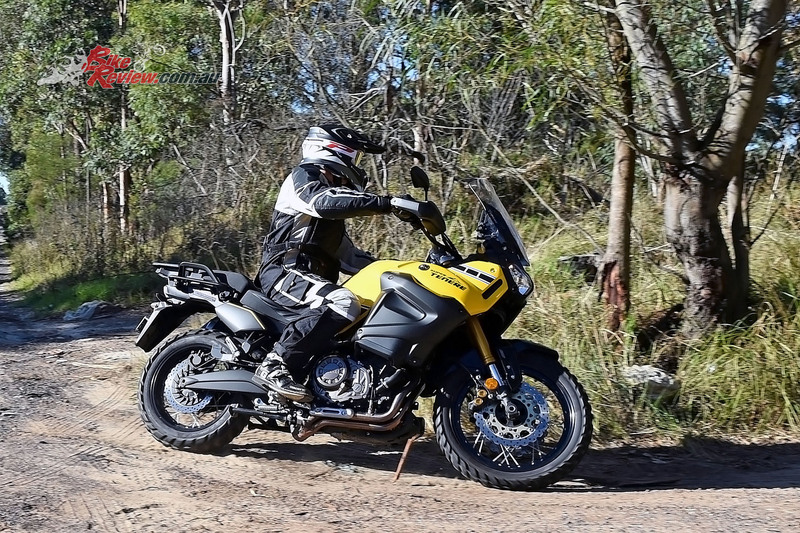 While ascending a tricky, long gravel road I could not build speed and keep momentum as TCS (traction control) would kick in limiting wheel spin. I got to the top without issue but max speed was around 30km/h. 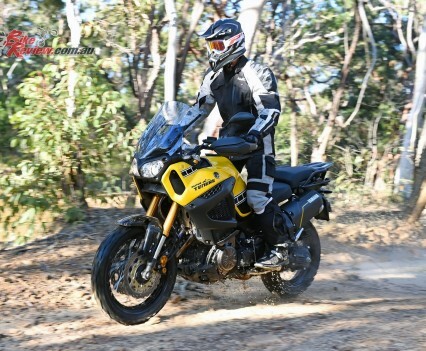 Back to the bottom, I disable TCS and another run provides the ear to ear smile I was looking for, with second gear spinning and sliding the rear all the way to the top at around 80km/h, now that’s fun. After this I started referring to TCS as the fun police, at least on the dirt…. The second problem encountered was the ABS. It works so well that on the same hill while descending I could not brake slide the rear end as the ABS would kick in to keep everything ‘safe’. I have since discovered that it is a very simple task to add an override switch to the bars and disable the ABS when desired. 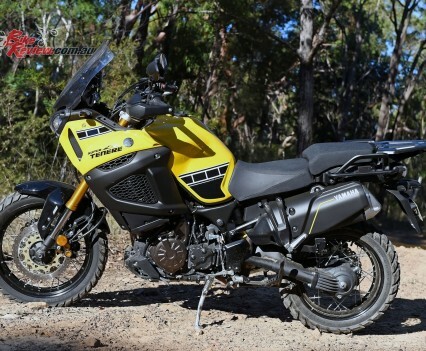 Yamaha Australia have also hinted that this may be an Australia-only option in the future. Braking is as good as can be expected pulling up a big bike but a little more braking power would be nice. 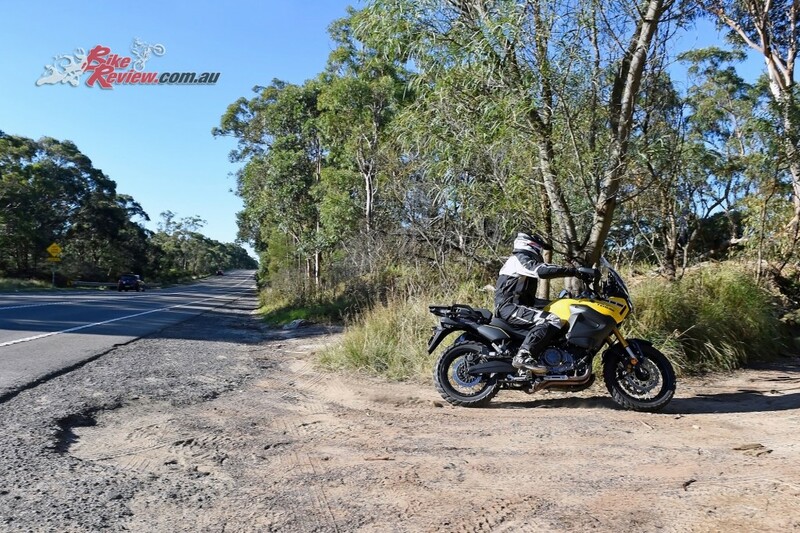 The ABS on the road works a treat, I actual worked up the courage to test both front and rear by stomping on each and well nothing happened, the bike just came to a stop all nice and straight. Lucky or I would of been on my lid. 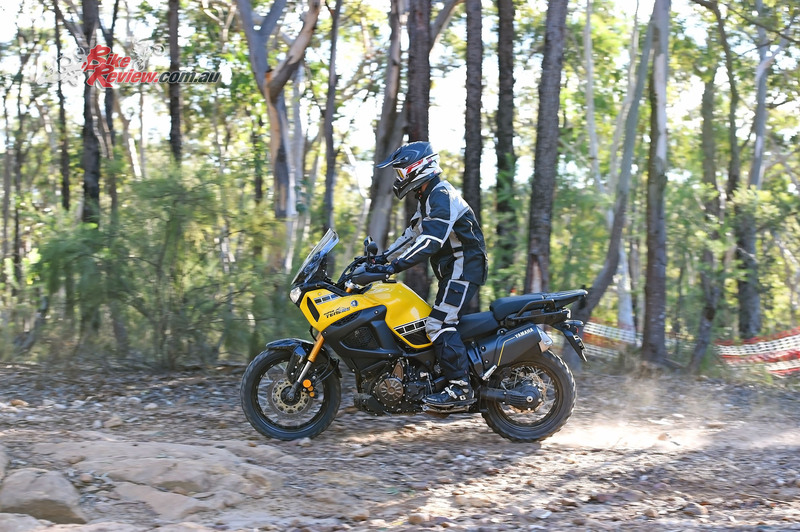 You can switch from ‘S’ mode to ‘T’ mode (or visa versa) on the fly but to do so requires that you shut the throttle completely, which switches the modes, then you can continue riding. 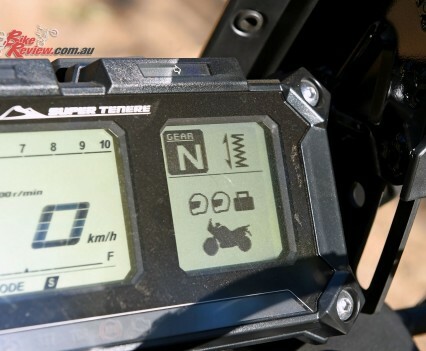 If you just switch modes, without closing the throttle, it will not change. The final stand out in the electronics department is cruise control. 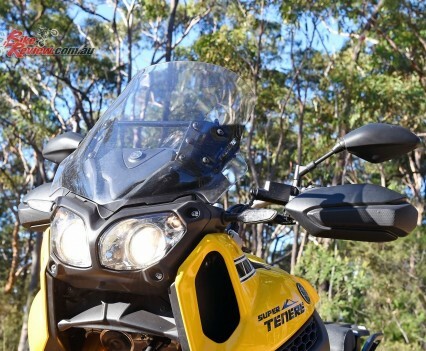 It completely makes sense for a long distance tourer and is a great way to keep those points on your licence. Having a nice, easy smooth engine is key to spending countless hours touring and the Yamaha has a silky smooth 1199cc parallel-twin engine. Combined with the electronics package mentioned above just makes it all too easy and fuel injection is perfect, with no snatchy throttle or issues to report. Having a shaft drive instead of chain also means a nice smooth power output with no chain slap in deceleration or having to oil or maintain anything. 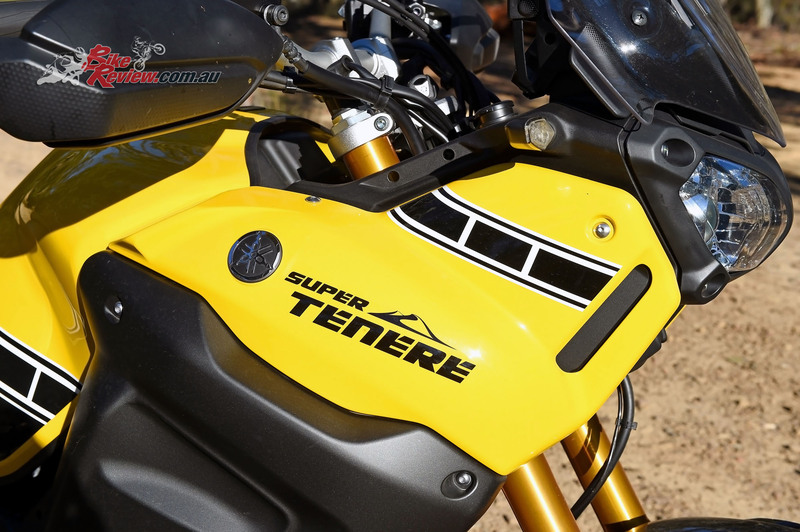 Overall handling ability is certainly greatly increased thanks to the electronic suspension, as this allows you to be in the ballpark for most of the types of riding the Super Tenere is designed for with a few easy inputs. 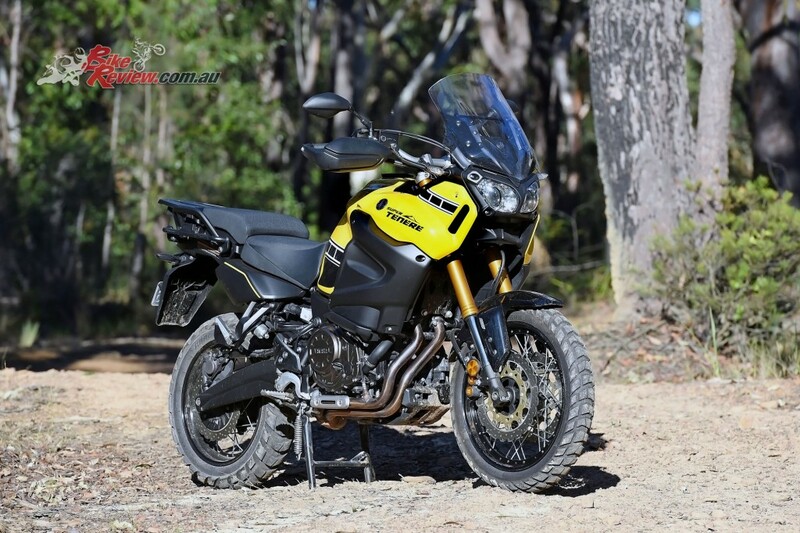 So who is the Tenere actually designed for? 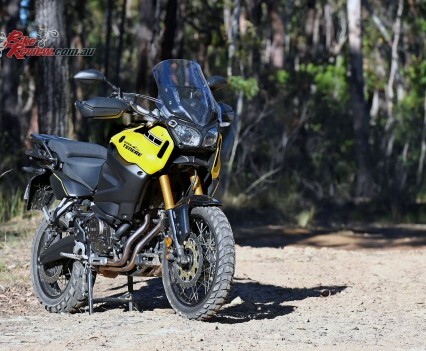 Well it is not a dirt bike in the sense that you wouldn’t want to cross the soft sands of the Simpson Desert or tackle a gnarly single track with rock steps. 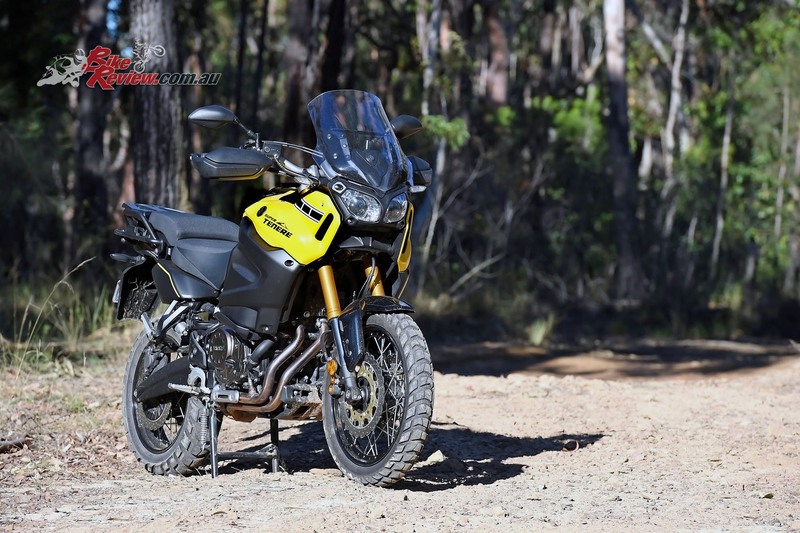 But without issue I would be happy to ride from Sydney to Darwin then across the Kimberley on fast gravel roads or to Adelaide then up the Oodnadatta track to watch the Finke Desert Race. That being said you can ride this beast on the ‘pegs, standing up while power sliding all day long. 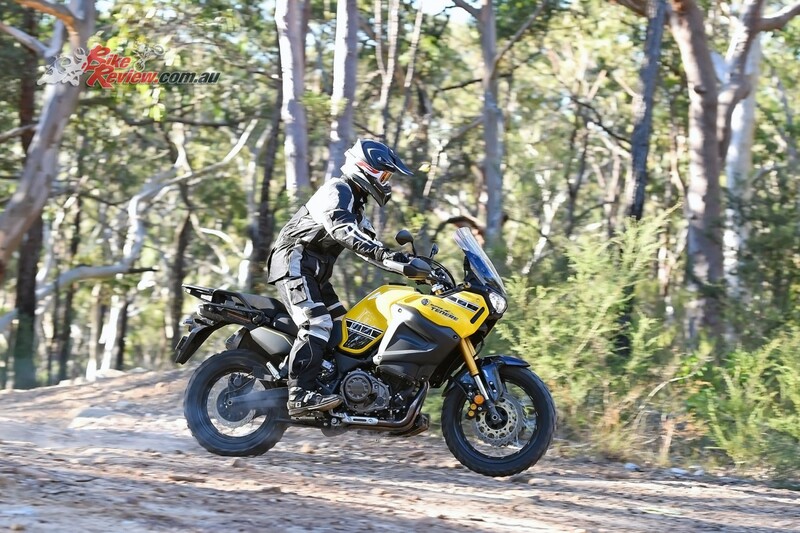 Alternatively the 1200 could just be a really fun and comfortable road machine, the upright riding position would suit a lot of riders who have had enough of sore backs and pinched shoulders. 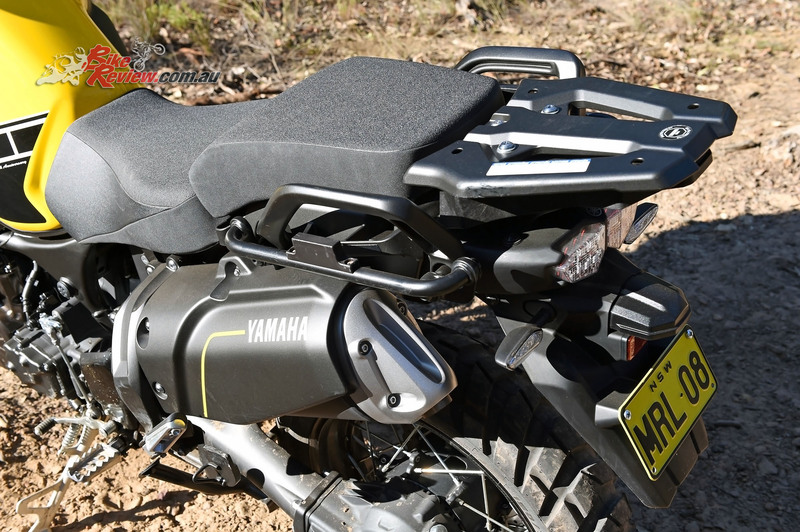 The aluminium side cases from Yamaha would be an ideal addition for carrying gear. 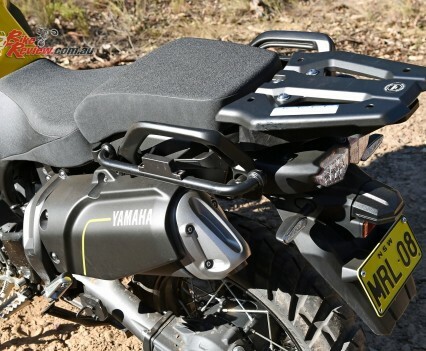 Yamaha have a bunch of accessories and of these I would seriously be looking at two. 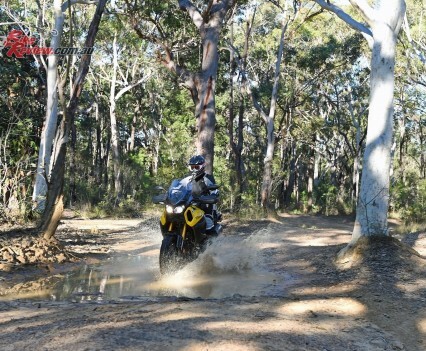 The first would be an alloy sump guard, cheap insurance if you plan to head off the beaten path. The second would be the aluminium side cases for all my camping gear. 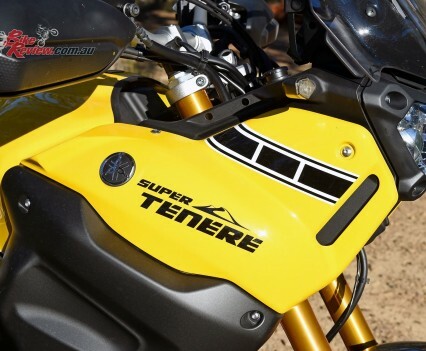 The 1199cc parallel-twin four-valve motor is a stressed member of the chassis, which means there are no underslung frame rails and the engine runs a bore of 98mm and stroke of 79.5mm with an under stressed 11:1 compression ratio producing 82kw of power and 117nm of torque at 7250rpm. 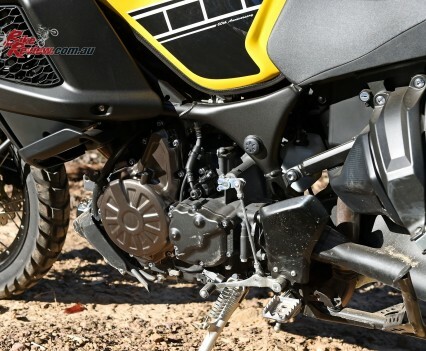 Effectively you have two 600cc pistons and this creates a huge amount of torque and makes the power extremely manageable. 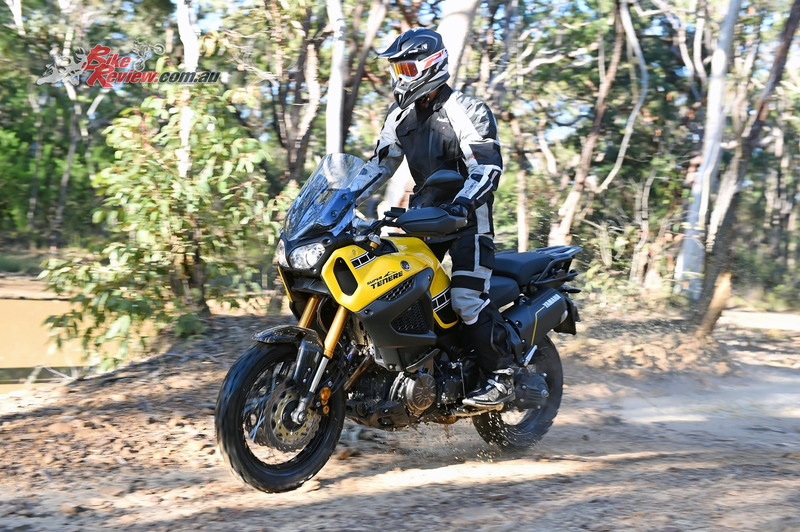 Fuel injection is controlled via Fly-by-Wire which allows for many advanced features, such as the traction control and dual map ignition. 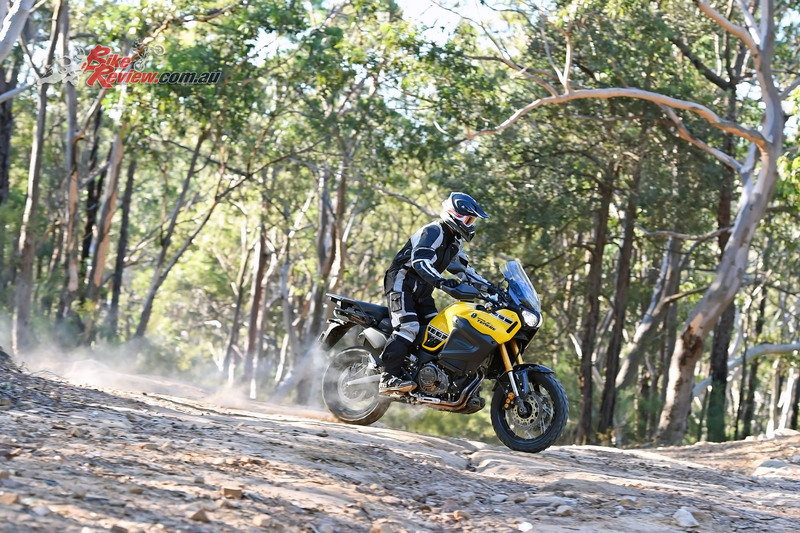 There is a substantial difference in power and feel between Touring and Sports modes too. 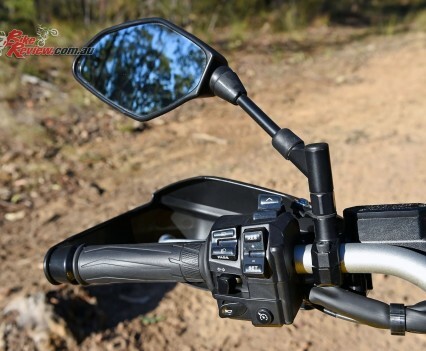 Another feature not seen on many bikes of this nature is the Cruise Control function, which work exceptionally well and will no doubt start appearing on more and more models. 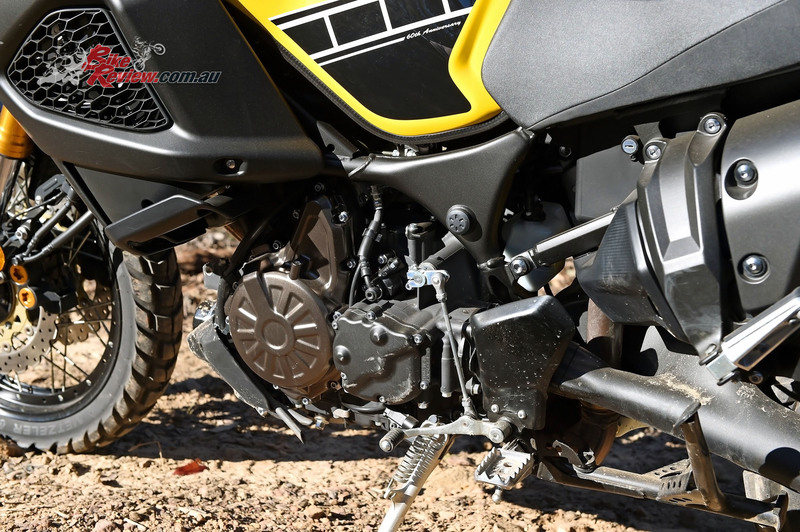 Servicing is easy, while 4.2L of oil in the dry sump provides a long service life, with the shaft final drive also helping reduce upkeep and maintenance, while being a hardier option if you’re into the rougher riding. 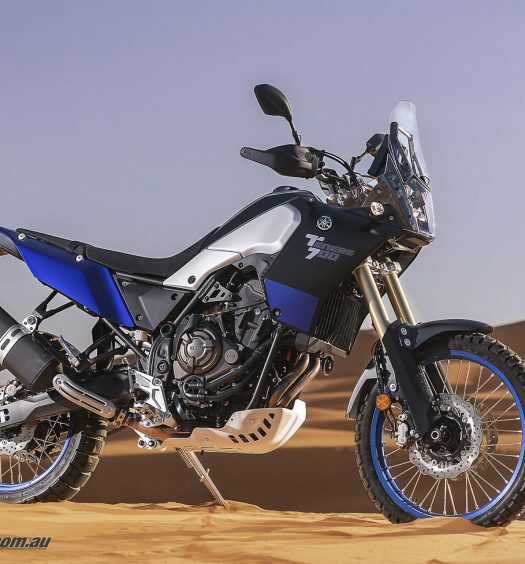 Yamaha have kept the steel tube backbone chassis as per the previous model of the Super Tenere and the bike as tested (the ‘E’ model with electronic suspension) weighs in at 265kg, fully wet with 23L of fuel. 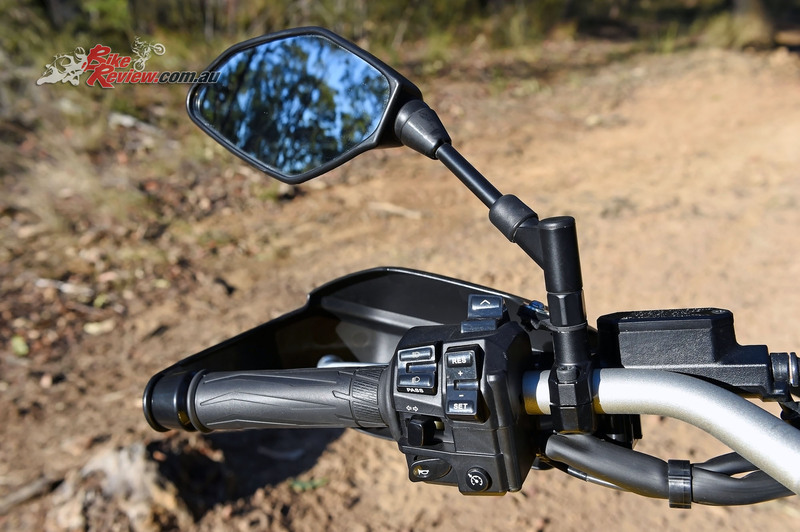 Suspension both front and rear are controlled electronically via the left handlebar switch gear for both spring preload and damping. 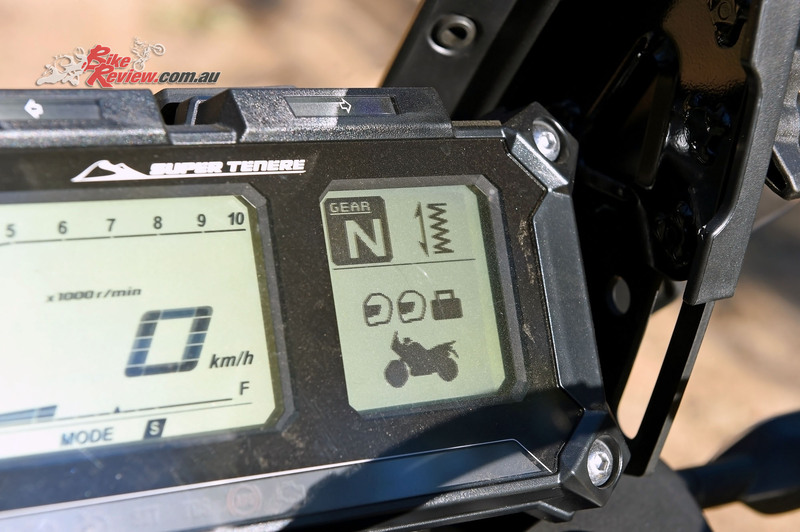 Current settings and options are all displayed on the LCD dash. 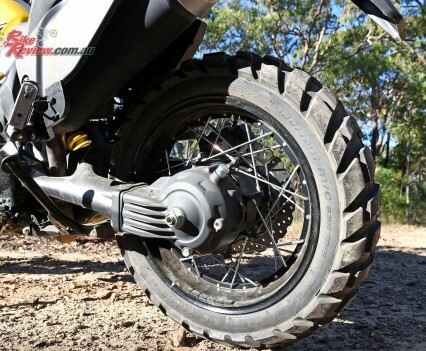 Suspension travel both front and rear is 190mm. The engineers must like the number 190mm because that is ground clearance as well. 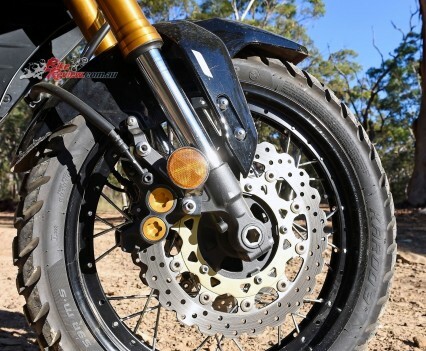 Braking is taken care of by 310mm twin rotors up front and a 282mm rear disc. ABS is standard but not switchable from the factory. Along with ABS the Yamaha also features linked brakes, and as such ABS can stop quicker in an emergency. 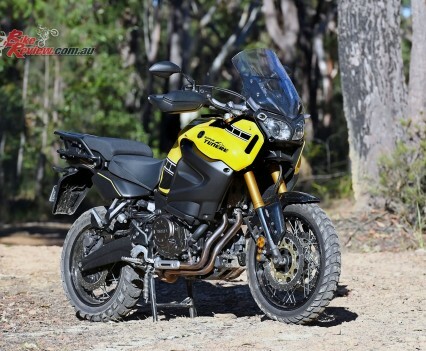 Holding a huge 23L of fuel will let the Super Tenere see a fuel range of between 450km-550km depending on riding style and terrain. 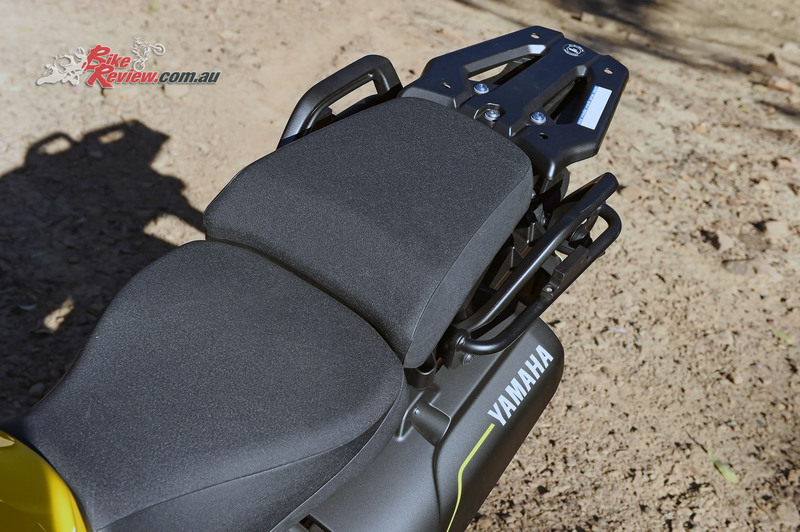 The adjustable seat height is another neat idea and at its lowest setting is 845mm while in the upper position is 870mm. 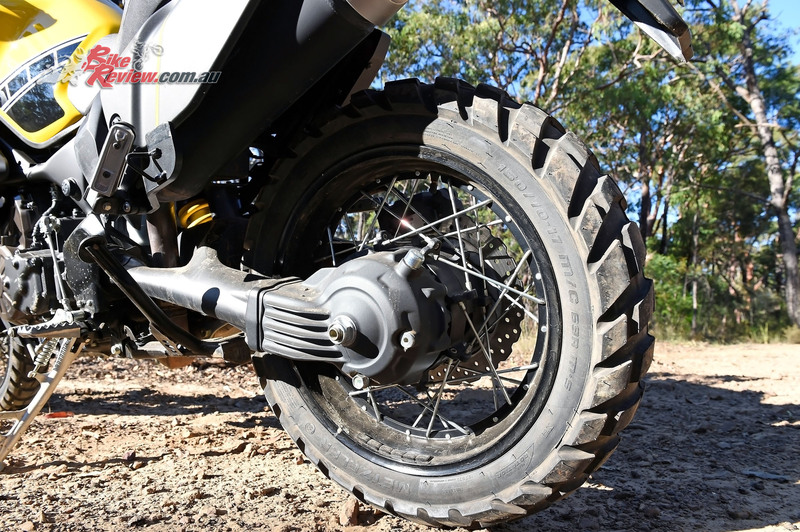 Footpegs are ideally wide with removable rubber inserts. 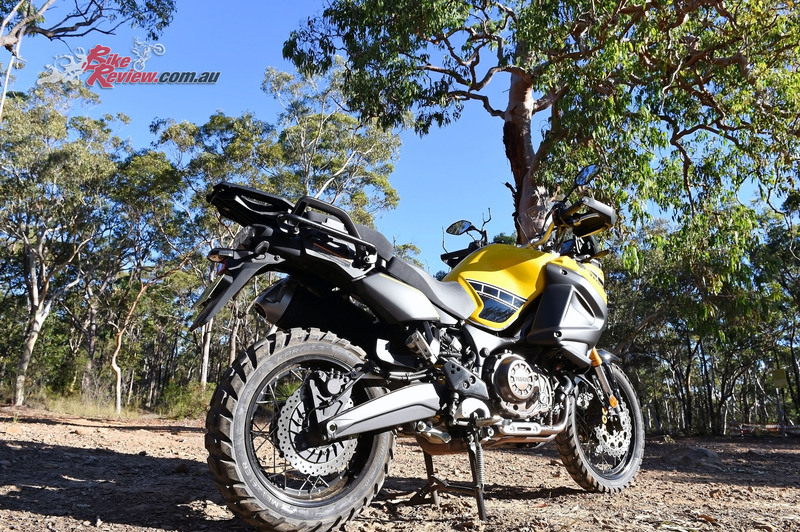 The heated grips in winter are awesome, while several heat settings are selectable, and are standard on the E model. 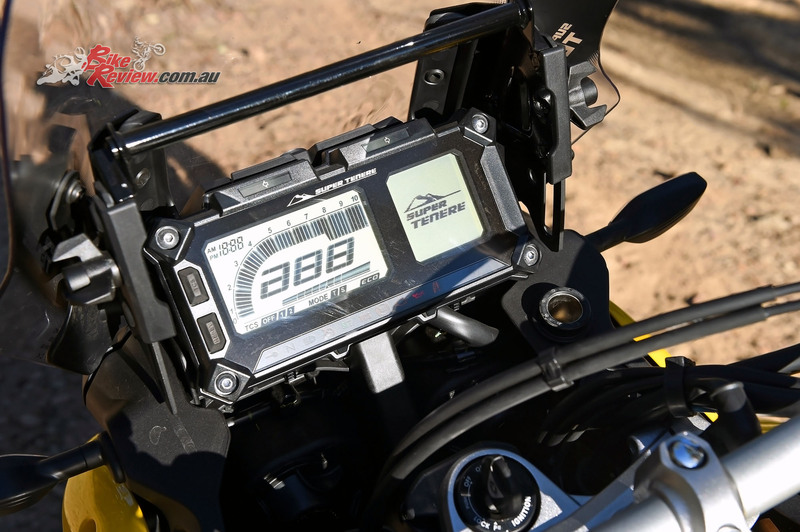 The LCD dash holds a plethora of information relating to every aspect of the bike including trip displays, temperature, fuel range, suspension settings, heated grip settings, ABS, TCS, engine mode control and lots more. 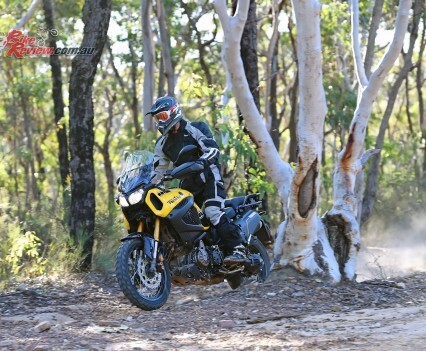 I’ve ridden extensively on a 2016 BMW GS, and feel the Yamaha Super Tenere ES is so much faster and confidence inspiring when going hard in the dirt. High speed power sliding every corner while standing is so natural on this bike. 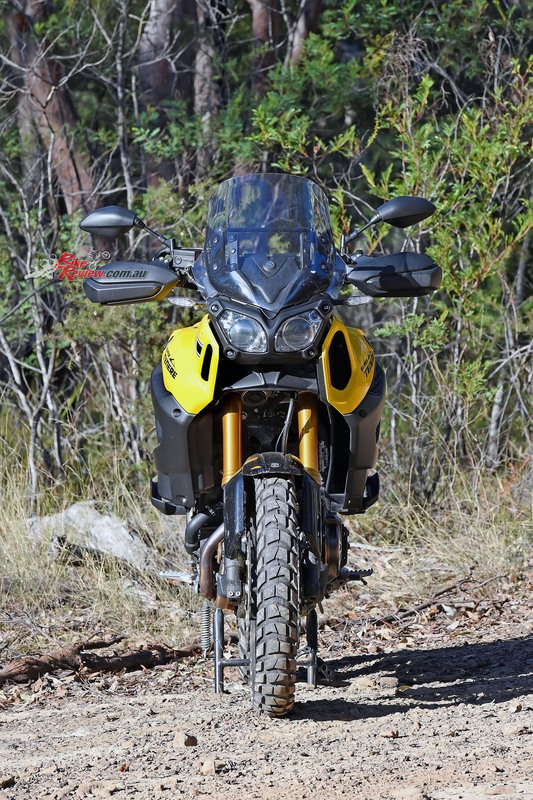 If you understand bike geometry you will see the dirt inspiration come through over a GS. 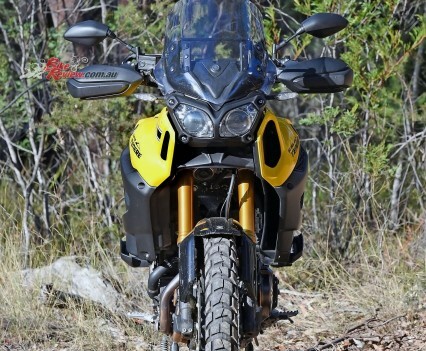 In saying this the GS could be a better selection for long distance tar – its marginal. 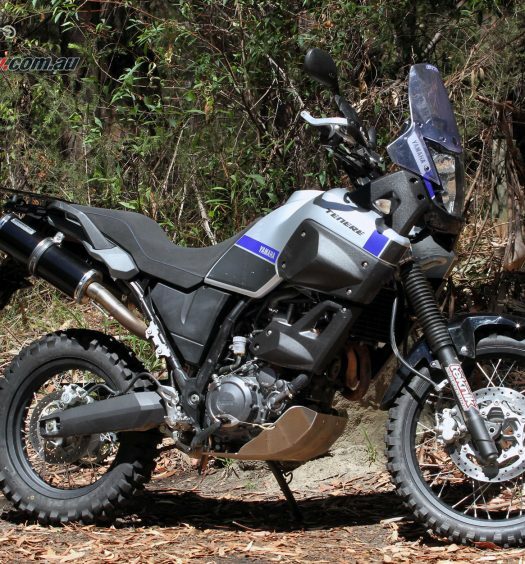 I thinks its the best of the biggest adventure bikes when pushed hard over remote long distance – especially on dirt. 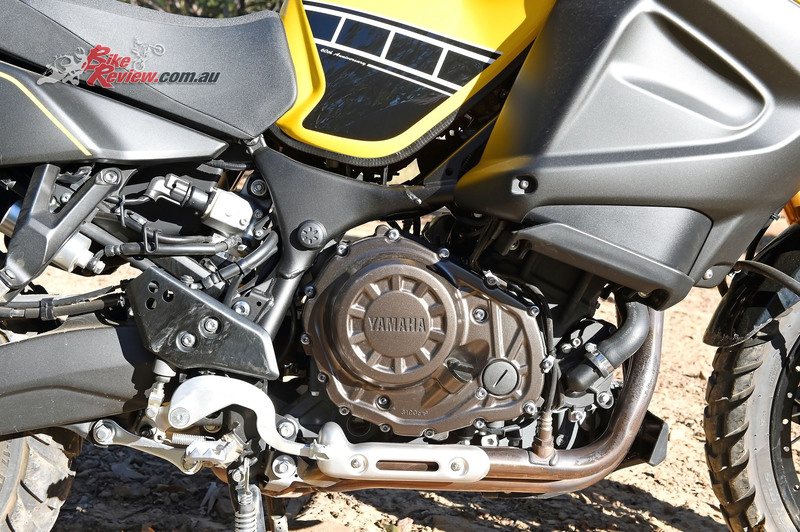 It is a product of the long standing reputation Yamaha has with dirt bike success. 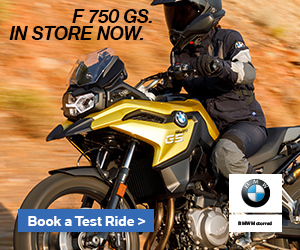 Not to mention you’ll split the BMW engine open when you drop the GS. 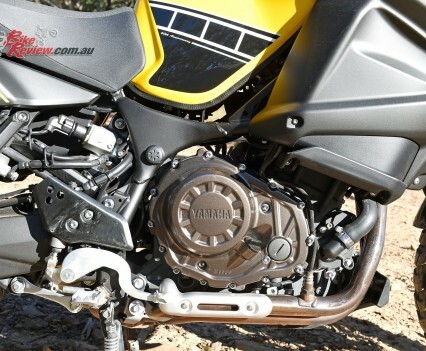 I’ve read a couple of reviews where they’ve even split the valve covers with the factory crash bars fitted!